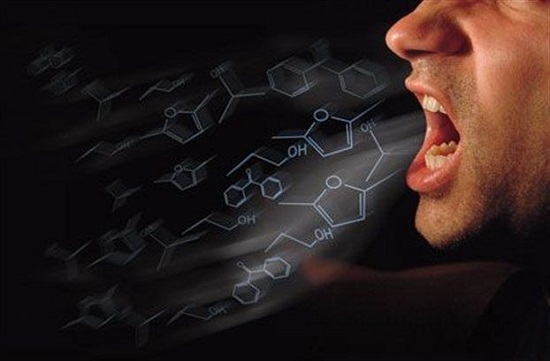 The first method of detecting drugs of abuse in exhaled breath has been validated. Drug testing is most commonly performed using urine samples. The methodology and regulations for reliable urine testing are well developed and can be considered the current gold standard for drug testing. However, one problem with urine testing is related to the methodology of sample collection, often perceived as inconvenient and privacy-overriding by those undergoing the test with samples easily switched. As such, a group of researchers from the Karolinska Institute have worked on developing a more donor-friendly alternative to urine testing for drugs by focusing on exhaled breath. The team have developed the first fully validated and robust screening method for the routine measurement of drugs of abuse in exhaled breath. The procedure involves a simple method of sample collection and preparation, which is followed by a highly sensitive analytical technique known as LC-MS (Liquid chromatography–mass spectrometry). The drug groups which are identifiable following the technique include amphetamines, methamphetamines, cannabis, cocaine and heroin. The opensource study is published in the Journal of Chromatography B. A sampling procedure using a commercial sampling device developed by SensAbues AB was used in the current study. Micro-particles present in the exhaled breath were separately collected by asking subjects to let the exhaled breath pass through mouth piece constructed for separating saliva and larger particles from micro-particles. Micro-particles passing the mouth-piece were collected on a specially constructed electrostatic polymer filter inside the device. The sampling procedure was standardized by filling of a plastic bag and collecting about 30 L of exhaled breath which took approximately 1–3 min time. Following sampling, the device was sealed with plugs, transported at ambient temperature and stored at −20 °C. The team explain that the underlying mechanism in exhaled breath drug testing is believed to be the formation of aerosol particles from the airway lining fluid by the breathing process. These aerosol particles may become contaminated with drugs present in the body, which enables drugs to be highlighted. A simple collection device is currently available which selectively collects the micrometer aerosol particles on a filter and enables further laboratory investigation of possible drug content. The study was validated using multiple replicate ‘spiked’ filters and controls against 1,096 unknown samples to test accuracy and limit false-positive results. The spiked filters contained known drugs to test against unknown samples producing a 95–107%, in other words 100%, level of accuracy. The team state that this method of drug testing can easily be used routinely in roadside tests relating to DUID (Driving Under the Influence of Drugs), and see many possible applications of breath drug testing. DUID is only one; workplace, criminal justice, accidents and compliance monitoring of patients are others. For DUID, the short detection time is relevant since the state of influence is in focus, and this combined with the convenient sampling procedure makes it an attractive solution for roadside testing. In the long-term it is hoped that the implementation of this new electronic nose drug test will help prevent accidents due to illicit drug use and provide a sound basis for drug testing in doping and many other areas.